Section 17 of the Act shows that no person shall be entitled to be registered in the electoral roll for more than one constituency. However, the violation of said section itself has not been made punishable, meaning thereby that registration as a voter at two places itself is not a criminal offence. Comments Off on Section 17 of the Act shows that no person shall be entitled to be registered in the electoral roll for more than one constituency. However, the violation of said section itself has not been made punishable, meaning thereby that registration as a voter at two places itself is not a criminal offence. 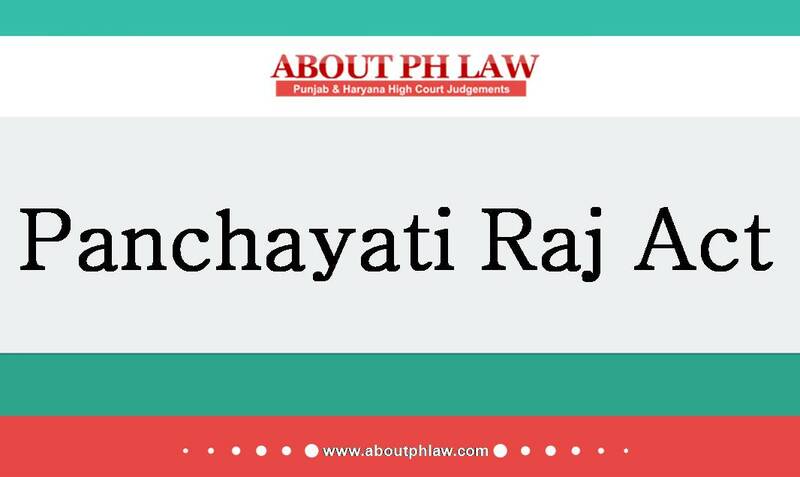 Recounting of Votes—Election of Sarpanch—Tribunal could not have passed the order for the satisfaction of the election petitioner. Comments Off on Recounting of Votes—Election of Sarpanch—Tribunal could not have passed the order for the satisfaction of the election petitioner. Recounting of Votes-Mere fact that the difference in vote itself is very minimal is not a ground in itself to order a recount-Recounting can be directed only if there had been an error in the manner of how the votes were counted. Comments Off on Recounting of Votes-Mere fact that the difference in vote itself is very minimal is not a ground in itself to order a recount-Recounting can be directed only if there had been an error in the manner of how the votes were counted. 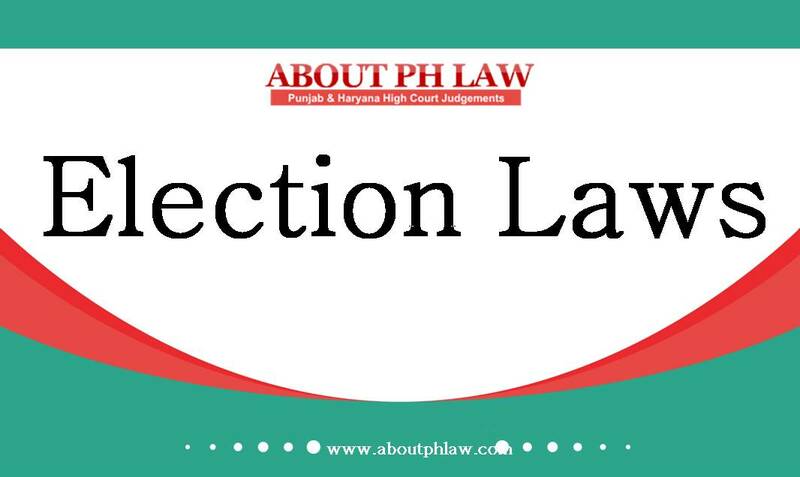 Punjab State Election Rules, 1994, R.35–Recounting of votes-Cancellation of votes– If for personal satisfaction presiding officer has ordered the recounting of votes, Court should be slow in interfering in the exercise of such discretion by the Tribunal. 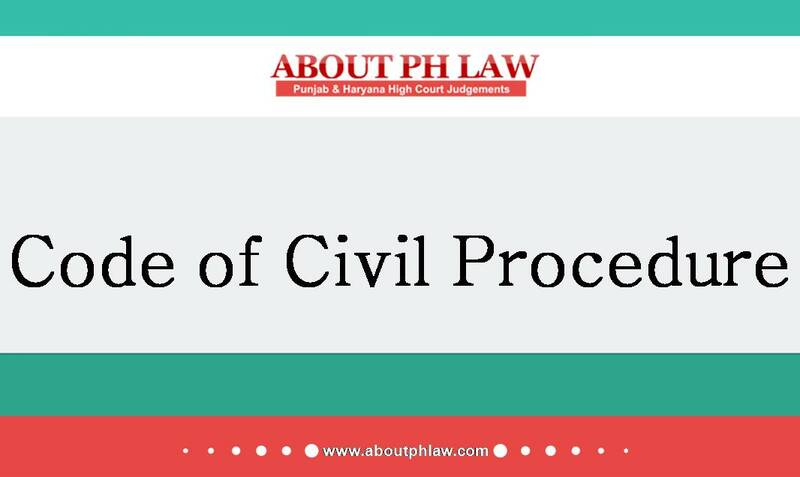 Comments Off on Punjab State Election Rules, 1994, R.35–Recounting of votes-Cancellation of votes– If for personal satisfaction presiding officer has ordered the recounting of votes, Court should be slow in interfering in the exercise of such discretion by the Tribunal. Election—Nomination paper is liable to be rejected on false declaration of educational qualification. Election—Election petition of defeated candidate allowed but he changed party in the meantime—He not can be declared elected. Comments Off on Election—Nomination paper is liable to be rejected on false declaration of educational qualification. Election—Election petition of defeated candidate allowed but he changed party in the meantime—He not can be declared elected.